Can we think of any occasion without flowers? They add beauty and elegance to our life. When used in homes, flowers can bring life into the decor and cheer our moods. Using real flowers often become troublesome as we have to take care of them and also replace them frequently. 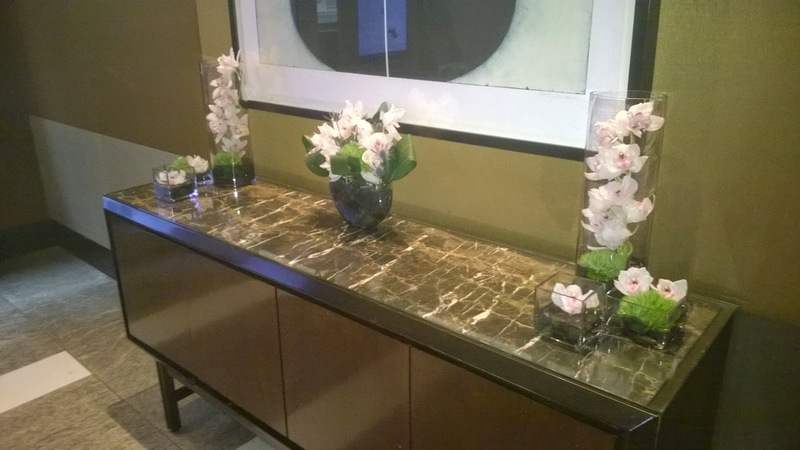 Fake orchids with their colors and texture can enhance the look of any room and often become the focal point. Does your room look boring with the same furniture and color? Sometimes it’s not possible to give it a facelift or buy new pieces of furniture. What you can do is add fake orchids for a splash of color. Silk orchids can be used creatively in home decor for an easy makeover. Once you start using them, you can think of creating unusual floral arrangements and give your home new look frequently. The advantage of using silk orchids is that they are durable and easy to clean. You don’t have to get new ones if the older ones start looking boring. Create different arrangements with them or change the pot and see how they look new and make your room different too. They are the most versatile silk flowers you can work with. There is no end to creativity when it comes to using fake orchids in home decor. If you’re new to using these, start with conventional ones. Choose a color that goes well with the color of the room. If your room is white or dull-colored, go for bright yellow, blue or red. This helps you to add a pop of color through the floral arrangements you put together. The table, counter tops, mantelpiece or the corner of the room on an accent table is the best places to put the orchids. If the table is short, choose a tall vase. Place a few stems of silk orchids in it and fill up the vase with sand and rocks. That makes for an interesting home decor piece. Keep a bowl at the center of the dining table and place orchids in it. This makes for a great centerpiece that can change with the seasons or your decor. A room with a bare wall can look attractive with fake orchids hanging from the walls. The kitchen is the place where we not only cook but meet for meals and also entertain guests. 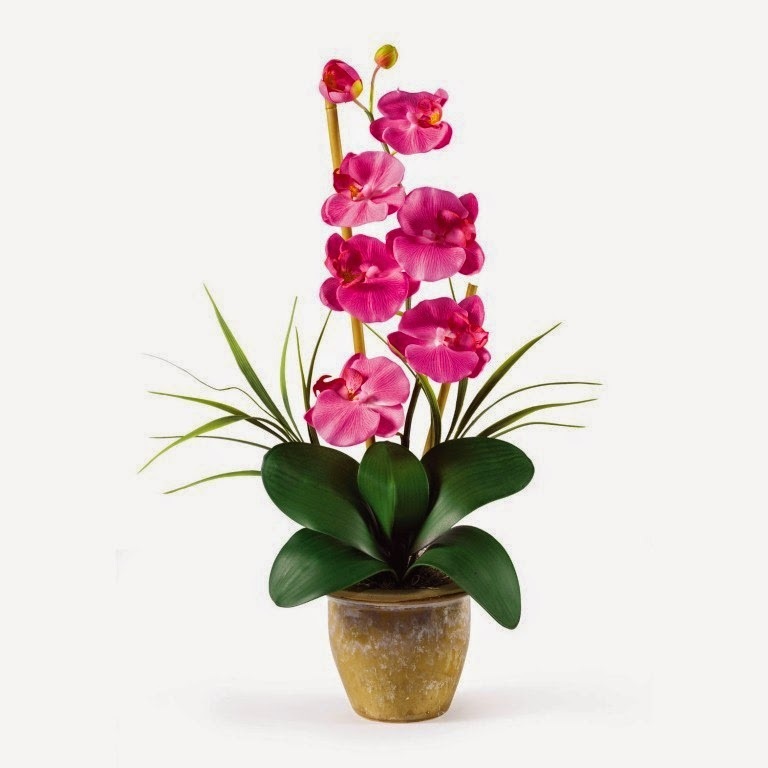 Use artificial orchids for a refreshing touch. Along with orchids you can use different fruits or vegetables for creating unique floral arrangements. Cherries, apples and lemons can add color to the kitchen along with beautiful fake orchids. You can also use artificial fruit in place of real. I’m sure you now have some ideas on using silk orchids in your home. Get creative and fill up the corners and table tops with them and see how your home thanks you for that extra color. Now is the time to start browsing for the right silk orchids for your decor. Start your shopping here to find the most realistic silk orchids available. I thank you for the Orchid ideas. I have an area in my kitchen that is in need of some colorful grace. I surely will purchase from here after looking at your beautiful selections.